Everyone carries music these days and promotional speakers give you the opportunity to hear it to best effect. 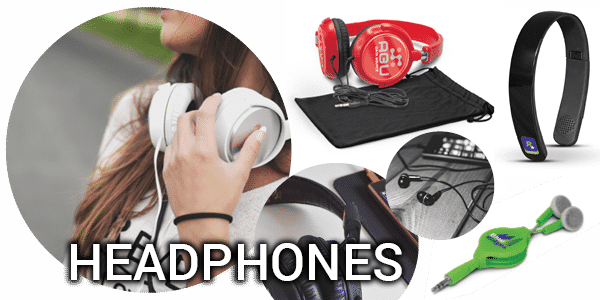 There is no problems calling up whatever music you want or storing thousands of tunes on a small MP3 device. The problem arises when you need to play the music, as most of the mobile devices we use these days are not designed to produce the quality of sound obtained from more traditional sources. The promotional mobile phone and computer speakers available here fill this obvious technological gap and ensure you use the functions on your machinery effectively and for maximum pleasure output. If you’re handing speakers out you’ll discover that you have a whole group of groovy new friends drawn to you by the thoughtfulness of your marketing gift and the clarity of your message. 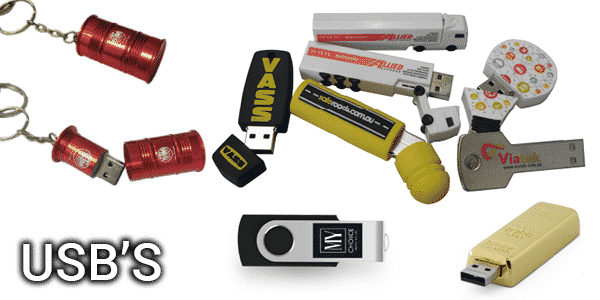 USB’s are compact and powerful! They are ideal for data transfer, music files or images while rarely leaving the owner’s side. You can store in your pocket, handbag or purse the same number of words what would once have required a purpose built library and a trained staff. person you meet in your business day who won’t find value in a branded power bank emergency battery. Travel is one of the fastest growing industries so using promotional travel accessories can take your brand to places you’d never imagined. 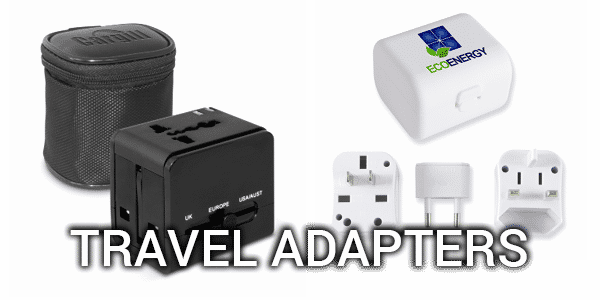 Handing out branded travel adapters is one way to get your logo seen around the world. 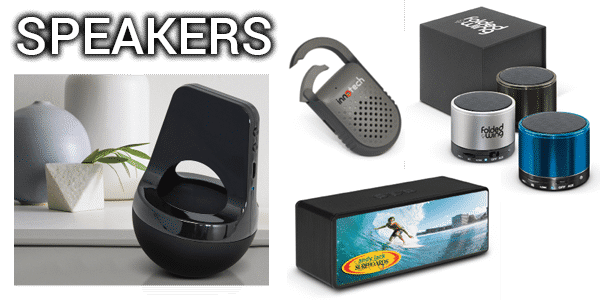 Promotional phone accessories and gifts are an important part of promotional branding as these days few people leave home without their smart phone. 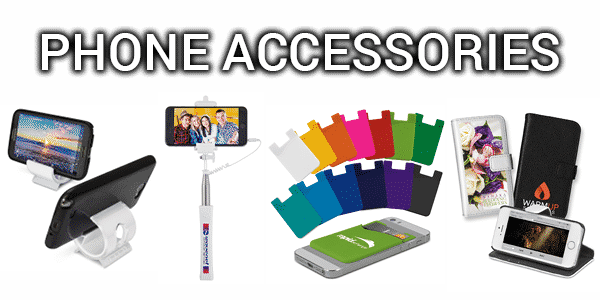 The range of custom branded mobile phone gear available and their functions and style is constantly improving so it makes sense whether they are for staff use or distribution to clients that you take advantage of the expanding mobile accessory market. 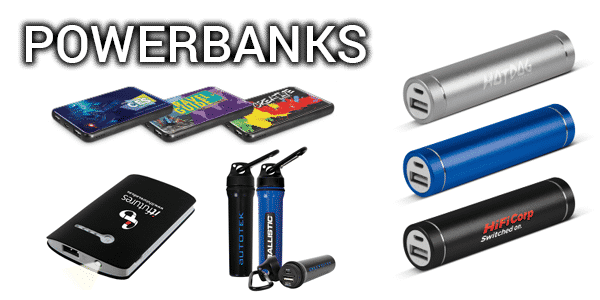 Whether you’re looking for chargers, decorations or other more simple branded mobile gear the wide range of custom accessories available here will assist you in winning friends and influencing people.